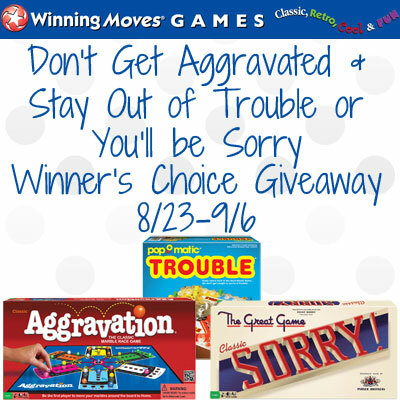 Don’t Get Aggravated & Stay Out of Trouble or You’ll be Sorry GiveawayTales From A Southern Mom did not receive compensation for this post and is not responsible for prize fulfillment. Hmm. I would pick Aggravation or Sorry. I would choose Trouble, but I would let my niece & nephews choose, so they might go with one of the others, lol. I’d let them fight it out!